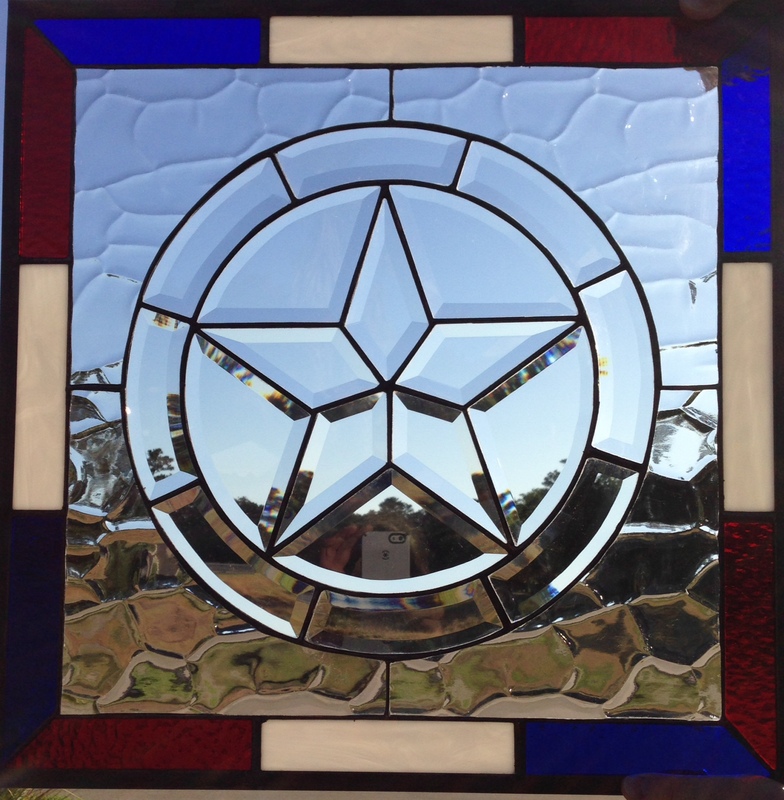 Beautiful Beveled Texas Star. Comes in 12″ or 14″. For more information you can contact me at (713) 899-0933! 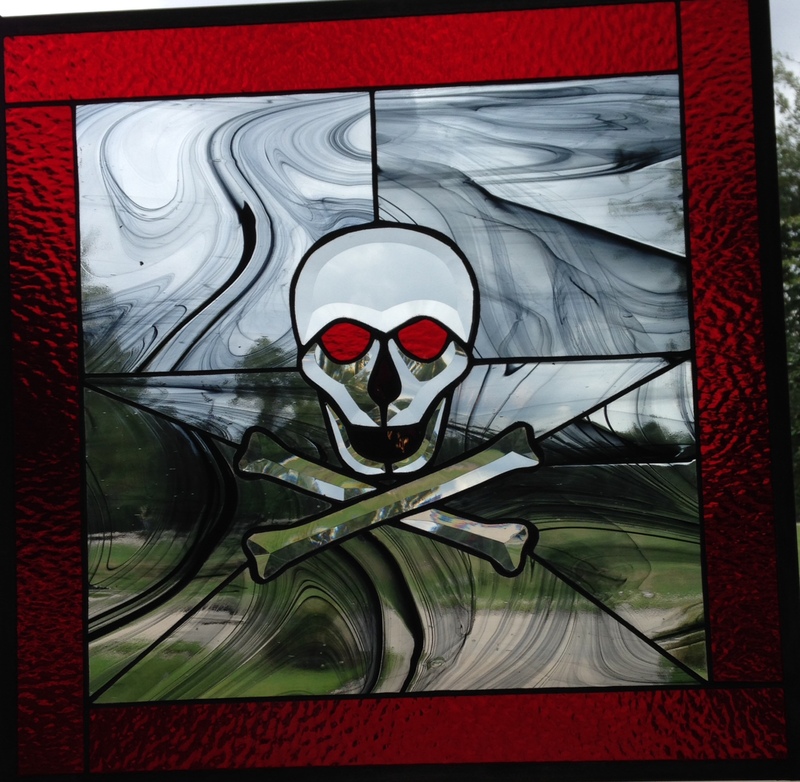 Beautiful Skull and Cross Bones Stained Glass. 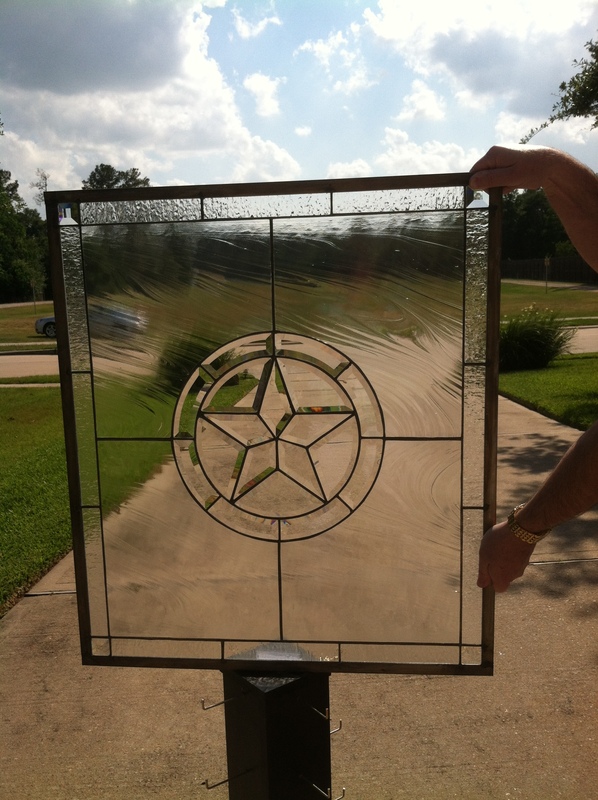 The skull and cross bones are beveled glass. Made with black and clear broque glass as the background with hammered red border. 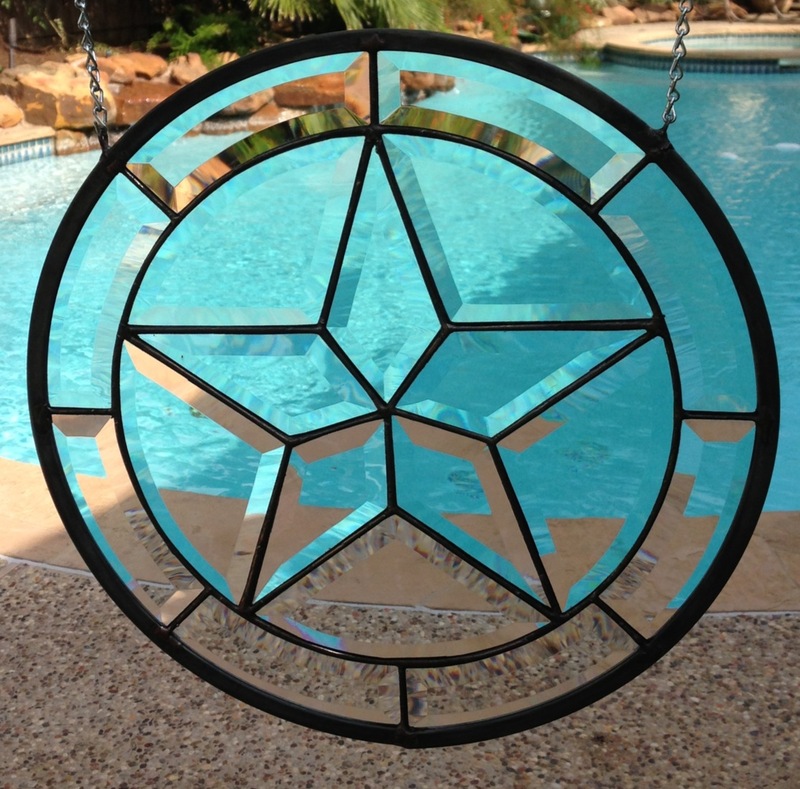 Measures approximately 20″ x 20″. Can be made with custom pieces or size. This one is available at this time. Call for more information (713) 899-0933. 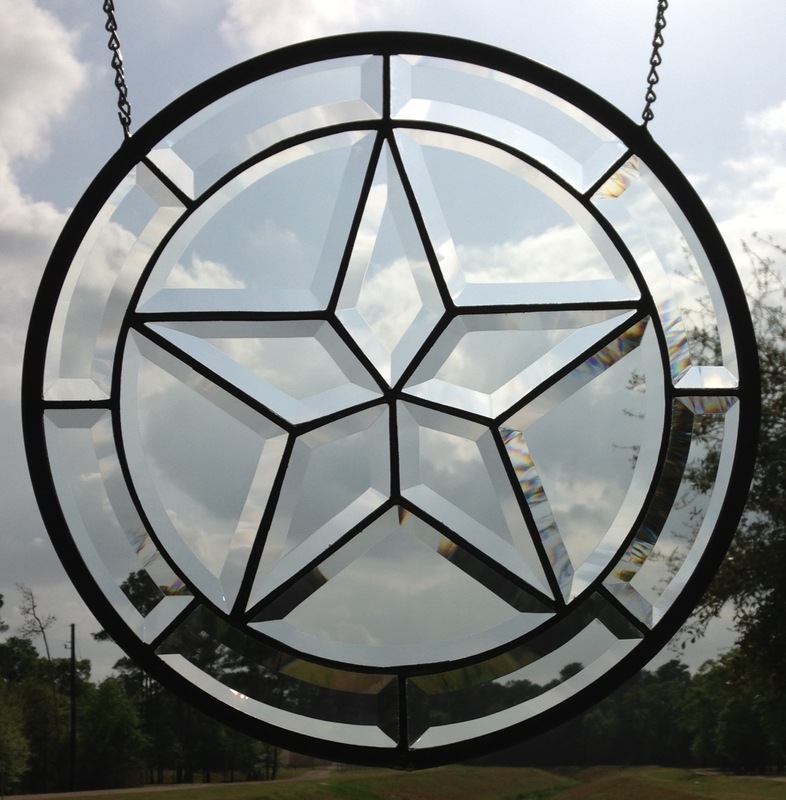 Beautiful Beveled Texas Star. Measures approximately 14″ in diameter. Can be yours today!! Call (713) 899-0933 for more information! 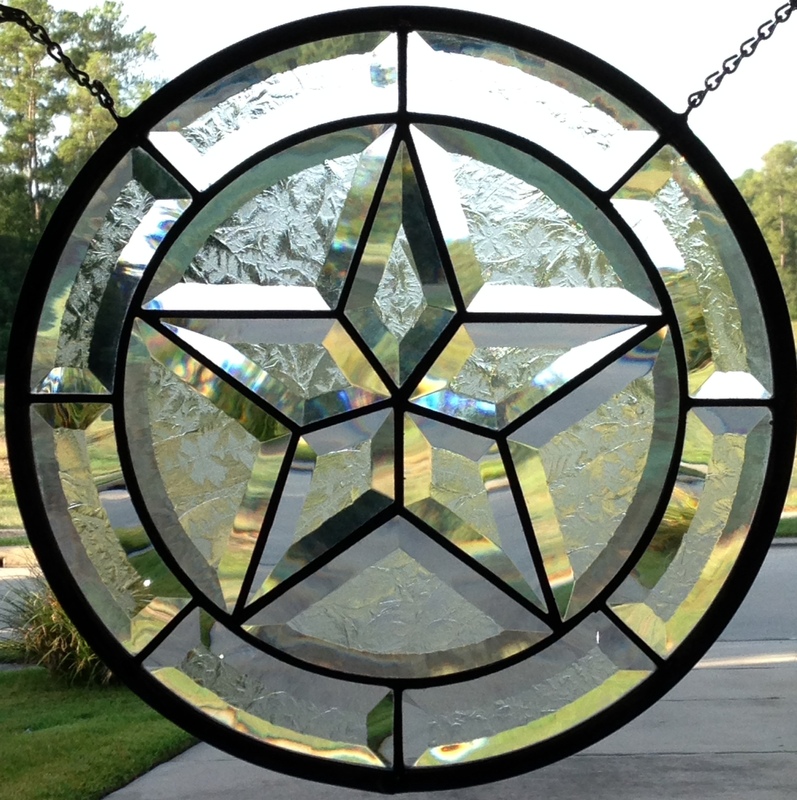 Beautiful Stained Glass Beveled Texas Star. Size is approximately 32″ x 28″. Made with a Star Bevel Cluster, Clear Broque Background with hammered clear border with beveled corners. 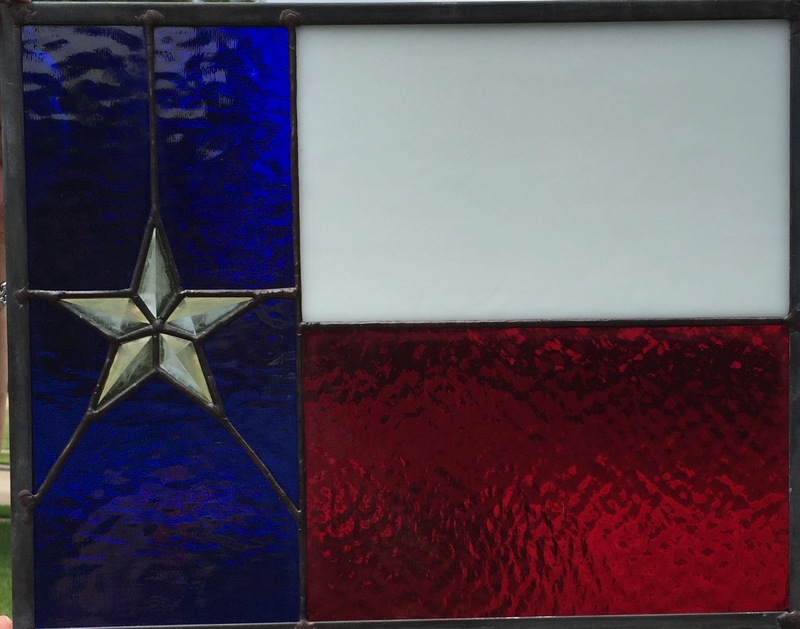 This is a commission piece and its home will be in Oklahoma. A piece like this could be yours. For more information please call 713 899 0933!! 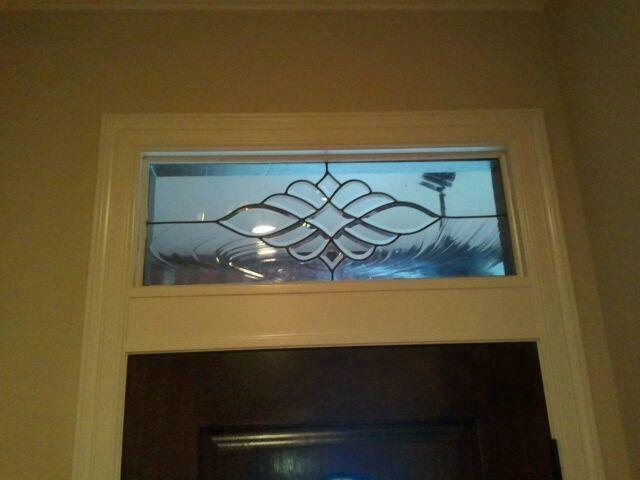 Beautiful Bevel Cluste r Stained Glass Transom with clear Broque Glass around Cluster. This was a commissioned piece. Call for more information ( 713 ) 899-0933.